November 19, 2018 – Dan is passionate about connecting people, and he wants to be known for touching the lives of as many people as possible! This semester, Dan hopes to bring many people to Christ through Bible studies, especially new college students! July 7, 2018 – This last year, Dan had to adapt to a new school campus which was challenging. Although it was hard and could have negatively affected him academically he didn’t allow it to! He worked with friends and study group and they were able to help each other succeed in their classes! This summer, he is looking forward to visiting a lot of family and friends, and he also wants to read the Bible and other books in his free time! May 12, 2018 – The two things Dan values the most are salvation and family, because he said those are the things that have shaped who he is today, and also help him to feel a sense of purpose in his life! March 25, 2018 – When Dan was younger, he hoped to be a government officer, specifically a minister of justice, because he has always hated injustice, unfair treatment and discrimination! In five years, Dan sees himself as graduated from university as well as contributing to and serving his community and country! Feb 27, 2018 – Dan said the person who inspires him the most is his grandmother. Although she wasn’t able to go to school, she always strived to help her children to study in order to create lasting change in their family. Dan says she is the perfect example of resilience! Jan 25, 2018 – The last book Dan read that he loved was The Last Lecture by Randy Paush. Dan says his favorite part in the book was a speech, titled “Achieving Your Childhood Dreams” that Paush gave to a University where he was teaching computer science. Dec 18, 2017 – Growing up, Dan’s family raised cattle, so every Christmas they would have meat to share with their family and neighbors as a way to say thank you for their help during the previous year! Dan thinks a word his friends would use to describe him as is, “optimistic” because he always expects the best from a situation! Oct 8, 2017- During his summer Dan was able to hang out with his friends and help his family with some work. He has been transferred to a new campus and is excited and ready to meet and work with new friends there. 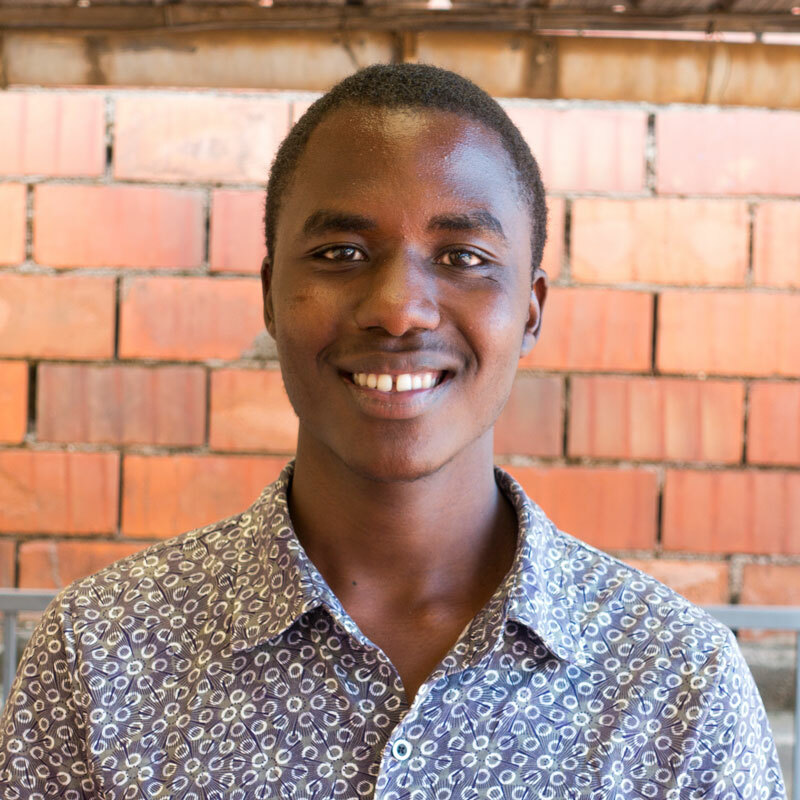 Dan grew up in a small village in Eastern Rwanda where most families depend on farming for food. As the oldest of seven children, his focus was on setting a good example for his brothers and sisters by studying hard and supporting his family. As a teenager, Dan discovered that one of the primary challenges to his family’s agricultural life was lack of access to information on the internet. To solve this problem, he is going to school to study Electronics and Telecommunication Engineering. His goal is to bring the internet to remote places, giving rural farmers access to weather data and agricultural information to improve their harvests and their lives.